Military environmentalism. An ocean of grassland and a sweep of big sky. Ancient monuments loom out of the mist; camouflaged soldiers crouch in the undergrowth. Salisbury Plain is a landscape of extremes. 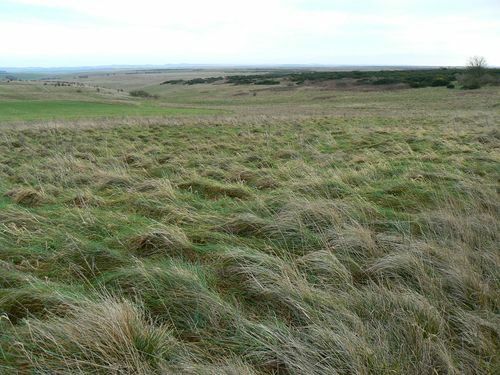 It is the largest remaining area of chalkgrassland in Northwest Europe and home to 2,300 prehistoric sites yet also the largest military training area on British soil. You may be surprised to discover that the presence of the military has benefitted archaeological sites and natural habitats. The walk follows public footpaths that penetrate deep into the heart of the military training area taking you out of your comfort zone and to experience a totally new kind of landscape (don’t worry, it’s safe and legal). Walk along the largest prehistoric long barrow in Britain to a 20th century East German village. Hunt in puddles for a tiny translucent shrimp and look out for the largest bird species in Europe. The extremes of Salisbury Plain sit side by side. Use this spectacular landscape to stretch your legs, blow away the cobwebs and fire the imagination.